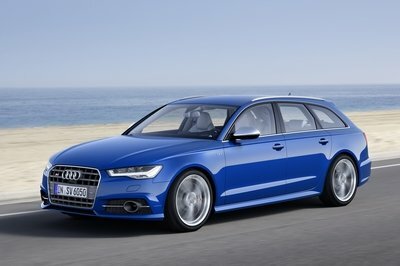 The large, four-door hatchback or “Sportback” body is one of the coolest and stylish styles you can find. Prior to 2012, Mercedes was nailing the luxury Sportback niche with the Mercedes CLS Coupe. 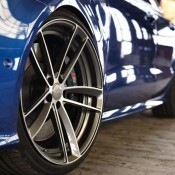 That dominating presence led BMW to develop the BMW 6 Series Gran Coupe and Audi to develop the A7 Sportback. The A7 Sportback hit the scene in 2010 and the S7, a beefed up version of the luxury family hauler came two years later. Powered by a 4.0-liter V-8, the S7 is capable of hitting the 60-mph sprint in 4.3 seconds while looking good and hauling a couple of kids. 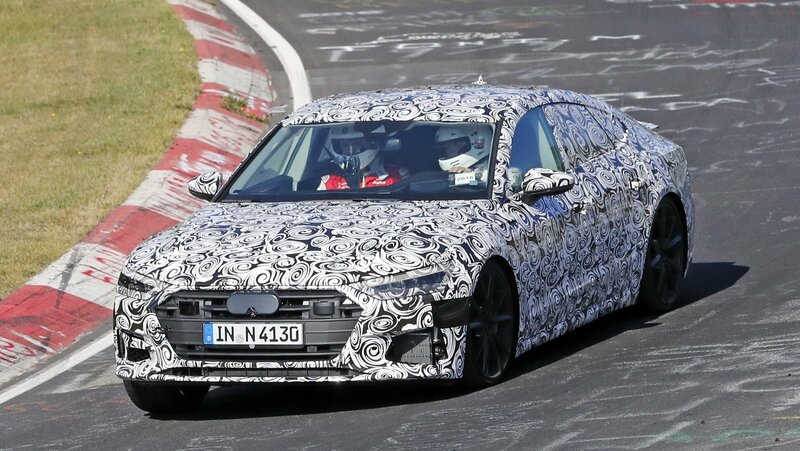 The S7 went through an update for the 2015 model year, which means the spy shots you see here are our first look at the second-generation S7. Right away you can see some Audi Prologue DNA in there, and we’re betting that it will even pack a little more power too. But, more about that later. While there is next to nothing known about the next S7, we’re just happy we’re getting a good look at it this early on. You can easily spot design cues from cars like the Audi Prologue Avant Concept, but this is the first time the S7 has been caught in the wild, so there’s still more to the car than what meets the eye. With that said, let’s dive on in and talk a little about what this model could bring to the table in the next few years. Update 7/13/2017: The Audi S7 was caught putting in some more work during the warm weather in Europe. It hasn’t dropped much in terms of camo, but there are a few changes we can spot, so join us in the special spy shots section below to see them and learn more about the latest word surrounding the S7. 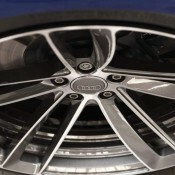 Continue reading to learn more about the Audi S7. The new year is upon us and whether you loved 2016 or not, welcoming 2017 still offers the respite of a fresh start. That attitude holds true in a lot of places, but not in the aftermarket tuning world where companies like M&D Exclusive Cardesign are just as uniquely capable of building tuning kits no matter what year it is. 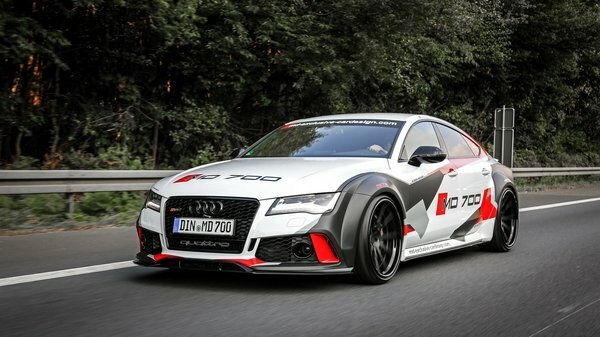 The German tuner shows us as much with the particularly impressive M700 tuning program for the Audi S7, which it converted into a more potent version of itself that’s capable of producing 700 horsepower and 701 pound-feet of torque. You could say that it’s got the credentials to line up against the range-topping RS7, but even that wouldn’t be fair to what M&D was able to do to the S7. For one, the current version of the RS7 tops out at 597 horsepower and 516 pound-feet of torque. Second, the program also features plenty of other refinements, particularly to the sedan’s exterior and interior. And then there’s the rather boisterous livery, which the tuner says was inspired from Audi’s own racing history. Like it or not, the graphics are colorful, to say the least. 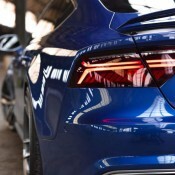 Ultimately, M&D’s program for the Audi S7 speaks to the capabilities of the sedan if its full potential is maximized. Take what you will from how the car looks (I’m personally not a fan) but you can’t deny that 700 ponies and 701 pound-feet of twist is as impressive a power bump as there is for the S7. Even better, the MD700 program actually extends to the Audi A7 so even if you don’t have the S7, this kit is still within reach, provided of course that you’re willing to let M&D work its magic on your sedan. 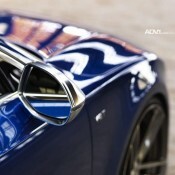 Continue after the jump to read more about the Audi S7 MD700 by M&D Exclusive Cardesign. In another brilliant joint operation, RS Quattro and ADV1 Wheels teamed up to make the appearances of a 2015 Audi S7 meaner, more aggressive, and consequently cooler, with the least amount of changes. It only took a set of wheels and some lowering. Then again, this particular Audi S7 was already unique when it was handed over to the tuners. It features a very special blue paint job which is an Audi Exclusive option, and it’s teamed with an equally unique black and white leather interior. 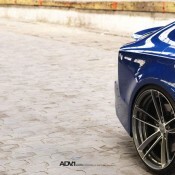 The ADVRSQ2 MV2 CS wheels in two-tone brushed gunmetal (21×10-inch all around) play the role of icing on the cake. 2015 Audi S7 Sportback is powered by a 4.0 TFSI V8 engine with 331 kW (450 hp) of power and innovative COD (cylinder on demand) technology. 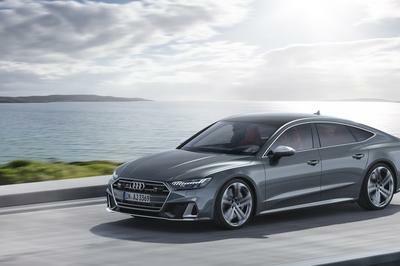 The car comes with a 7-speed dual-clutch transmission, quattro four-wheel-drive, and air suspension with a firmer setup than the normal A7 models. Prices for the S7 start from €82,300 in Europe. The post Mean-Looking Audi S7 by RS Quattro & ADV1 appeared first on Motorward.